Kanyakumari, the southern-most tip of India, is around 90 km away from Trivandrum and is located in Tamil Nadu. 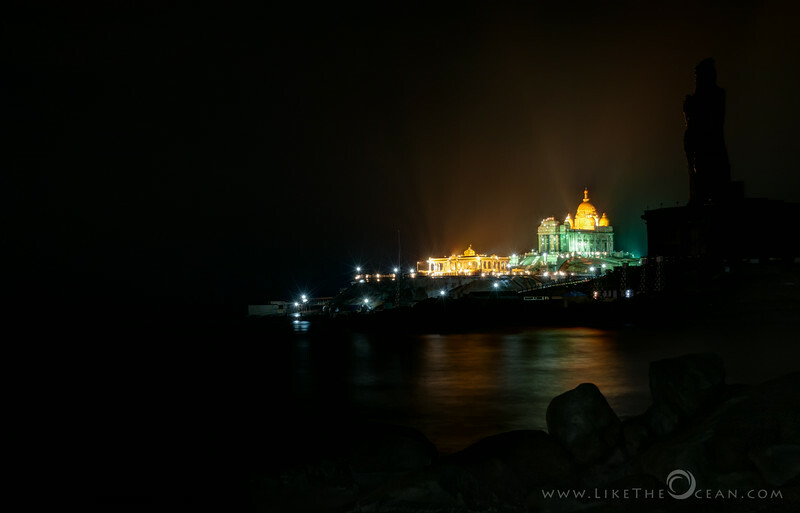 Kanyakumari has now become a famous tourist spot and anyone who goes there does not miss visiting the Vivekananda Rock Memorial. Swami Vivekananda himself visited Kanyakumari in December 1892. It has been debated that Vivekananda plunged into the roaring waves and swam across to reach those large rocks. People, even today, dare the swim across, hence it definitely was a possibility. He spent three days and three nights on that rock. The roaring ocean was all the company he had. He saw religion to be the life-blood of India’s millions. He realized in the silence of his heart that India shall rise only through a renewal and restoration of that highest spiritual consciousness. He saw her greatness; he saw her weaknesses as well, the central one of which was that the nation lost its individuality. There is lot of controversy on the initiation of the memorial at this location, predominantly religious clashes (according to Wikipedia). Though ironical, it is really sad that many a time we miss the forest for the trees. Anyway, today you can take a ferry to the rock. Its peaceful, serene and well maintained. It definitely a place to sit and reflect, if you really wanted to :) And as you can see, it is a pleasure even watching this rock from the shore, once the sun goes down and it is all lit up. On right is the Thiruvalluvar statue. At 133 feet high, this depicts the 133 chapters of the Thirukural.